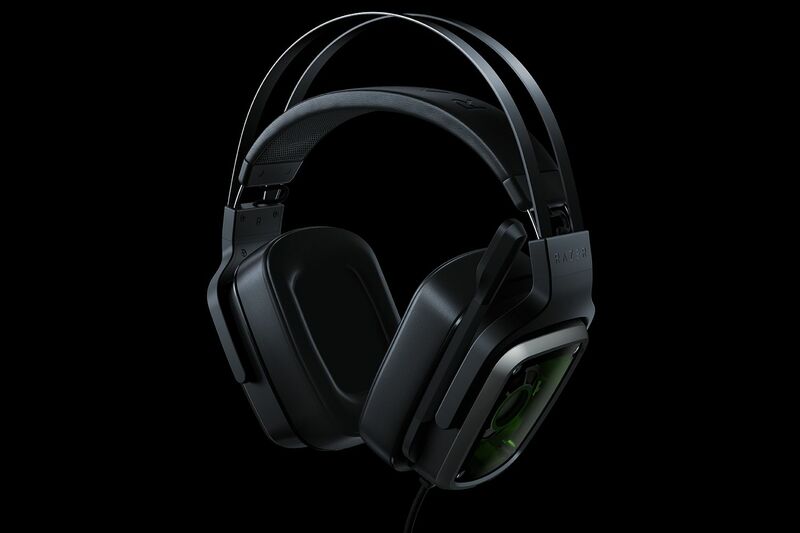 Razer has released two new high-end gaming headsets, the Tiamat 7.1 V2 and Tiamat 2.2 V2. The Tiamat 7.1 V2 offers 7.1 surround sound using five discrete drivers in each ear cup, while the latter features dual 50mm drivers on each side intended for a great bass experience. Both headsets feature the same adjustable unidirectional ECM microphone. The Tiamat 7.1 V2 is fully analog requiring five 3.5mm jacks to enable surround sound. It is bundled with a newly designed audio control unit so that each audio channel's volume can be adjusted independently. Switching between 7.1 and 2.0 channel sources can also be done on the fly. An audio pass through is also present to allow switching between external speakers and headset audio with a button press. The Tiamat 2.2 V2 features inline audio controls instead of a dedicated control unit. Volume control via an analog wheel and a mute switch for the microphone can be found on the cord connected to the left earpiece. The more expensive 7.1 channel version of the headset will also get you full RGB lighting. This also means a USB connection is required for power. The LEDs are controllable using Razer's Synapse software and can be synced with other Razer products that also use Synapse for their lighting. The Tiamat 7.1 V2 retails for $199.99 while the Tiamat 2.2 V2 carries an MSRP of $129.99.